The Most Dangerous of Dualisms (Beyond 30) | "A Song Every Day"
Posted on May 4, 2015 by vspatz	in Chagigah, Community, Counting the omer, Ethics, racism and tagged #blacklivesmatter, #BlackSpring, counting-the-omer, Ferguson Action, Hadiya Pendleton, Michelle Obama, omer. The speaker, Rabbi Akiba, is one of four who “entered Pardes [Paradise],” the only one who “entered in peace and departed in peace.” His instructions are understood as pre-trip warnings to other other three. Some explanations for Akiba’s words liken pure marble to the place where upper (divine) and lower (mundane) waters meet, arguing against attempting to divide divine and mundane. Many teachings focus on dualisms, warning against dividing God into Light/Dark, Good/Evil, etc. But Michelle Obama spoke, back in April 2013, to what I consider the most dangerous dualism of all: allowing some of our citizens to grow up “consumed with watching their backs” while others grow up enjoying a city’s riches. Accepting such a state of affairs implies two sets of rules or, worse, two sets of expectations for human beings. This is tantamount to bowing to two gods. At the “place of pure marble” — where the Torah tells us all humans are in God’s image — we must acknowledge that “every single child in [Chicago or any city] has boundless promise no matter where they live.” Failing to do so is blasphemy of the deepest kind, it “speaks falsehood” that cannot endure before God’s eyes. Meanwhile, Chicago, my first hometown, has lost so many to street and police violence, as has DC, my adopted hometown of 27 years. Losses across the country mount at a rate so high as to be numbing. Today, too many kids in this city are living just a few El stops, sometimes even just a few blocks, from shiny skyscrapers and leafy parks and world-class museums and universities, yet all of that might as well be in a different state, even in a different continent. As discussed previously, this week’s attribute, Hod, is associated with empathy. The war on Black people in Baltimore is the same war on Black people across America. Decades of poverty, unemployment, under-funded schools and police terrorism have reached a boiling point in Baltimore and cities around the country. This past winter our people were presented with hollow reforms. This spring we present to the world our visionary demands. Demands that speak to a world where all Black Lives Matter. 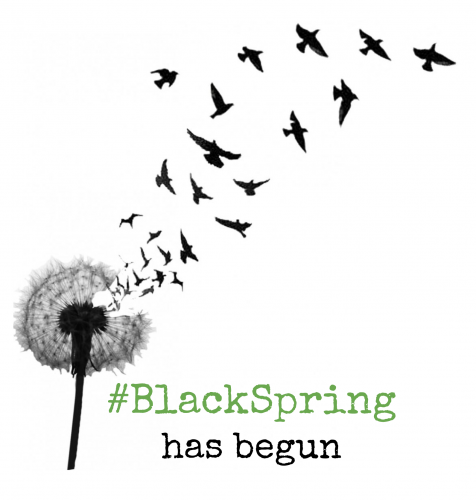 This will be our #BlackSpring. We counted 30 on the evening of May 3. Tonight, we count…. Today is thirty-one days which are four weeks and three days in the Omer. Hayom echad ushloshim yom shehaym arba’ah shavuot ushloshah yamim la-omer. Wow. Thank you for this. What a powerful, heartfelt speech. Good to hear, now when the dangerous dualism is so very much before us.